Smuggled out of Tecate, Mexico as a puppy—a very sick, abused one—hers is an improbable life. That she survived puppyhood was the biggest improbability. But she didn’t survive unscathed. She has—how do I put this? Well, she has issues. Like a draining bathtub can send her into paroxysms of drooling and shaking. And she hates dogs. Considering she is one, how messed-up is that? She fears men, eyeglasses, hats, bicycles, scooters, towels, riding in cars, looking at cars, screen doors, wind, leaves, and lizards (the teensy ones! )—and that’s nowhere near a complete list. That’s a “just getting started” list. 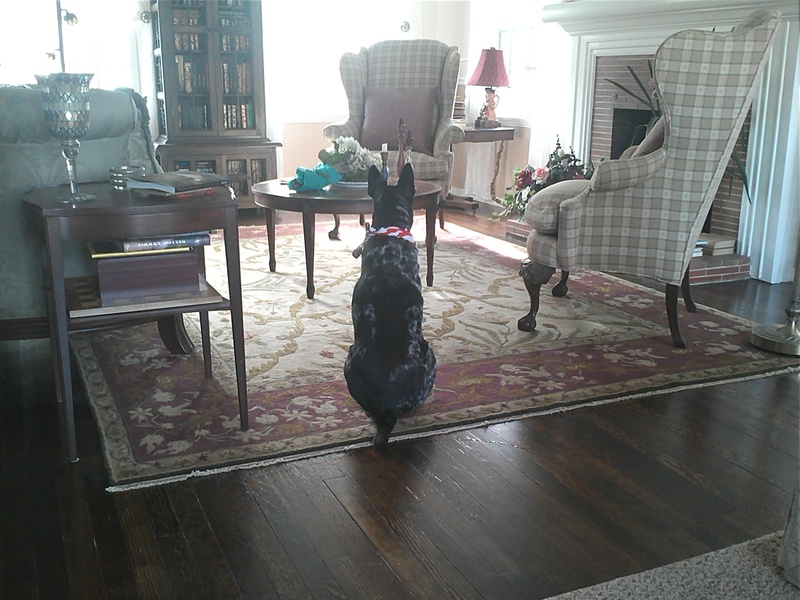 She is the unlikeliest cattle dog (normally brave and energetic—but also loyal and incredibly smart). She is lazy (except she loves to “dance”). And she’s the total house dog (she doesn’t do rain or cold—and cold is anything less than 68 degrees). She sleeps on a down pillow. Wherever I am, she is. Unless I’m working at the office. But at home she never lets me out of her sight. Never. When I get ready for the office in the morning, those big brown eyes of hers are almost comically mournful watching me, as if I’m never coming back. It’s pitiful, actually. You’d think after eleven years she’d get it: I am coming home. I’ll always come home to you. But her world has rocked a little more than usual the past two weeks. I’d some Kindle pages to read (many pages, actually; for reference, the print version of my novel is 370-odd pages), and formatting to modify as necessary and turn back around in a week or so. This is a different kind of work than creative writing, where I take lots of little breaks and read aloud to Baby, for the rhythm of words and phrasing (and, yes, she always approves); where she and I are “partners.” But galley-type work is intense, extremely focused, as in no interruptions, please. Well, I finished (in fact, I just finished! ), but I know Baby’s missed our regular “talks,” and those silly “dances” we do while I cook dinner (no time for cooking! ), or the workouts after (that’s my sad, pensive Baby above . . . ouch). And, yes, I’ve missed her, too. She’s a special old girl in spite of her issues. Or maybe because of them. She’s my friend—my best friend. She gets me. I get her. She even understands English. The only thing she doesn’t understand is that she’s not ever going to be abandoned again, or hurt; otherwise, this dog is so smart you can have a conversation with her. And she doesn’t chew furniture, or pee on the rugs. She just waits for me—and now I’m back. And we’re getting ready to dance. 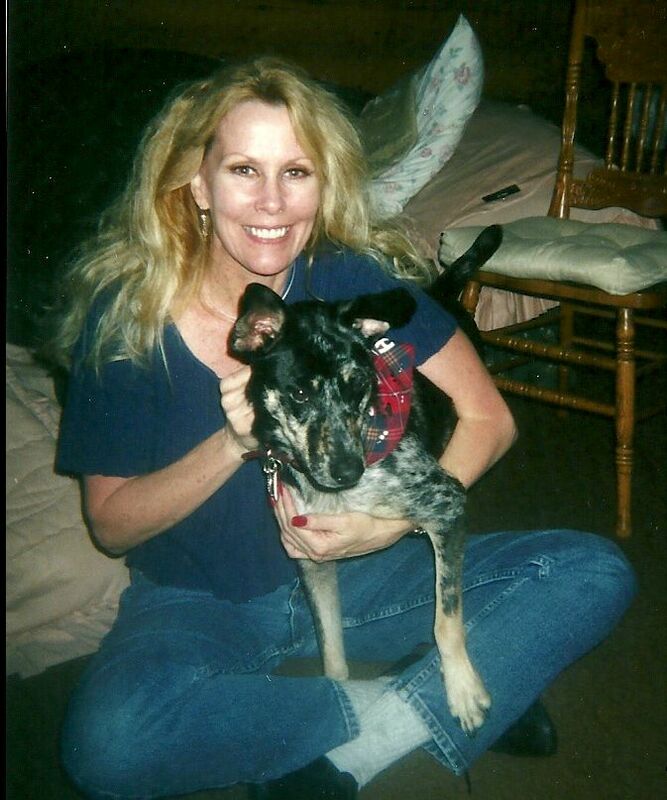 This entry was posted in A Writer's Life and tagged cattle dog, Lee Fullbright, Pets, writing, writing fiction. Thanks for coming by–and for the comment . . . I do appreciate!! Hi Kevin, Nice to see you here … thanks so much for commenting. OH, baby Rae. She’s the best!! Loved this posting………..dance on…………. Dogs are the best company and repay them with love is the least we can do. There’s no one less selfish, more forgiving, and completely committed to his/her relationship with you that a dg. Congrats for having such an amazing soul to share your life with.